Meet Monkeyboy and Gogobird: a charming orangutan with too-many toes and a flamboyant bird who’s a bit of a show-off. These two endearing outsiders unexpectedly meet and dance their way into each other’s hearts. This interactive e-book for children is available at iBookstore! 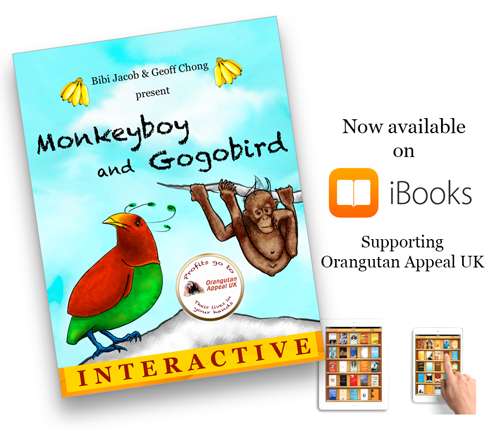 By buying this book you’ll be helping the Orangutan Appeal UK. This incredible charity helps rehabilitate and preserve orangutans and their habitants. The creators of this ebook will both donate their entire proceeds to this cause - around 70% of the cover price. 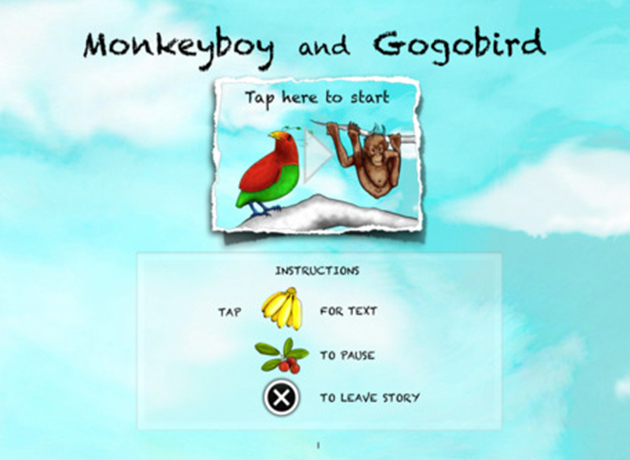 Monkeyboy and Gogobird is wonderfully narrated by a professional voiceover artist and contains cute character voices, funny sound effects and uplifting music, including a restful lullaby chime at the end. It’s beautifully illustrated and animated with rich and vivid colors.